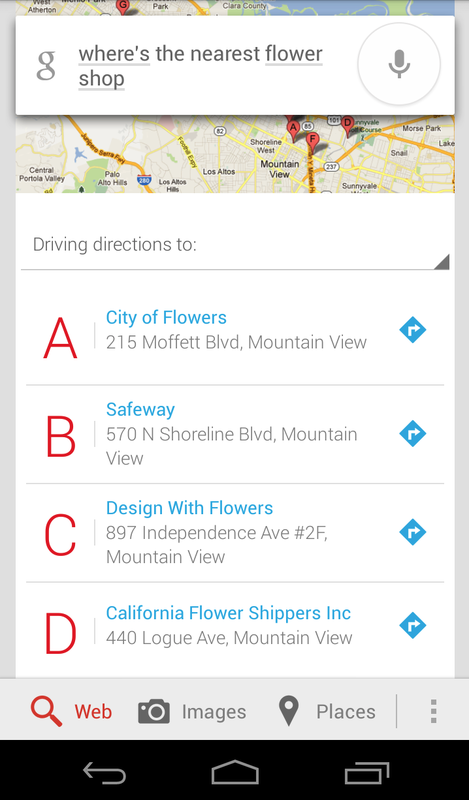 Simply tap the microphone icon on your Google Search App on iOS or your Android device and ask “Where’s the nearest flower shop?” to see where you can pick up roses for that special someone. 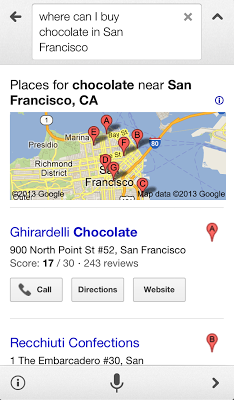 Hoping to find a delectable box of chocolates nearby? 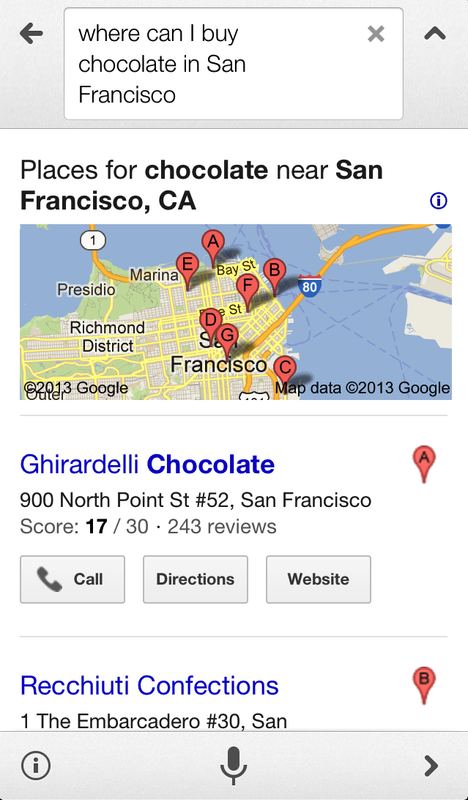 Ask, “Where can I buy chocolate in San Francisco?” In seconds you can swipe through the options, tap to call the shop, and get voice-guided navigation there by car or by public transit. Find the perfect date spot. 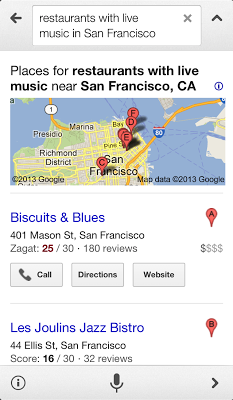 If you’re looking for a new restaurant or hidden romantic spot in your city, Google can help you find the perfect fit. Are you hoping to make dinner anything but ordinary? Ask Google for “restaurants with live music in San Francisco,” and swipe through local options that fit your taste and budget. 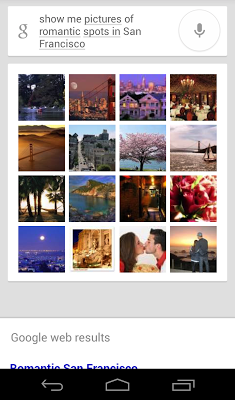 Looking for a perfect romantic spot or attraction? 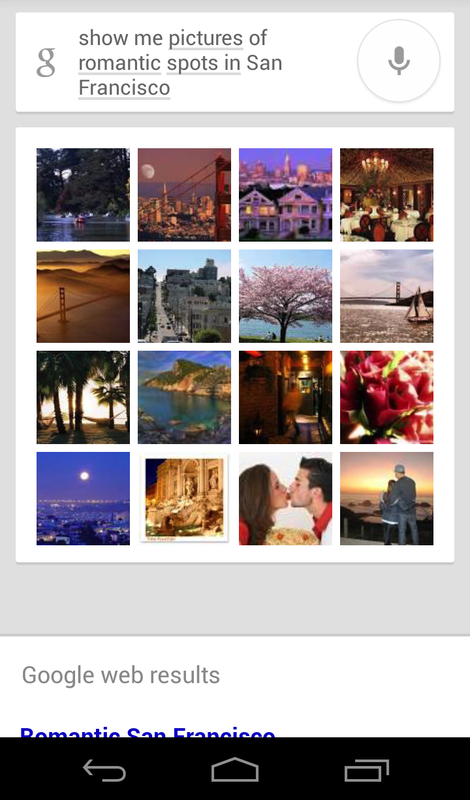 Say, “Show me pictures of romantic spots in San Francisco,” and swipe through a collection of photos to pick the perfect place. Whether you’re looking for a little novelty with your significant other or just recently mustered up the courage to ask out a new crush, we hope this makes it a little easier to plan a special outing. Good luck! You’ve got less than two days before Valentine’s Day -- are your plans in place? 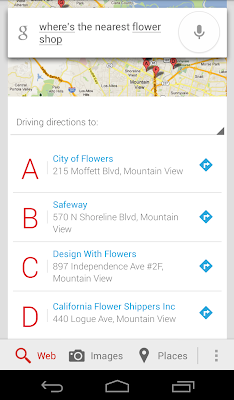 If you’re swamped at work and scrambling to find a last minute dinner reservation, flower shop, chocolates, and a romantic spot for that special someone, Google can help you look like a smooth operator, even if you’re just starting to plan now. Looking for flowers and chocolate?